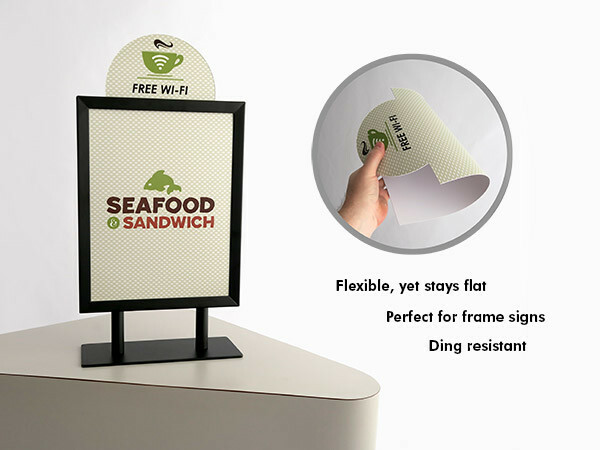 Styrene Signs (High Impact Polystyrene) — the most common indoor graphic board. It has some flex, so is best used for slide-in frame type displays as opposed to standing on its own. The common thickness for most uses is .030 inch, but we do have .020 and .040.